A little-watched board that operates out of the General Land Office cast a vote last week leaving public schools $300 million short — and the lawmakers who put that money into the 2012-13 budget scratching their heads. In the waning days of the 82nd Legislature, state lawmakers came up with a plan to help cushion the blow of $5.4 billion in cuts to public education. State Rep. 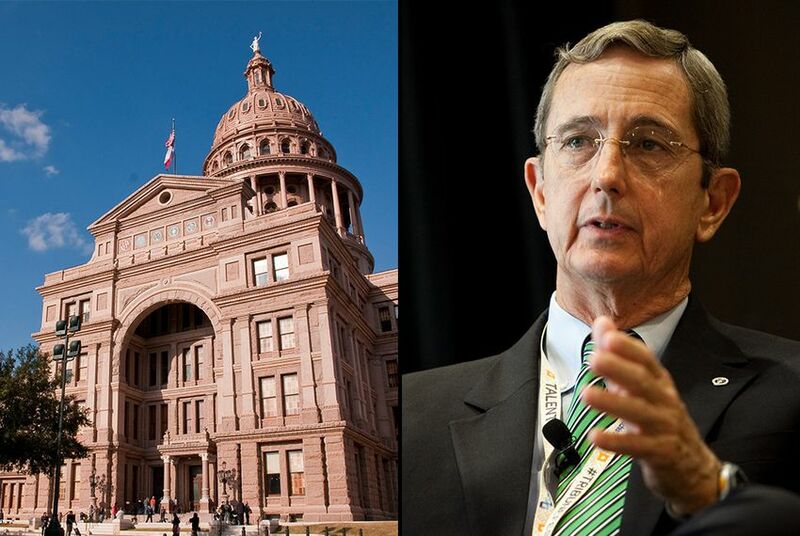 Rob Orr, R-Burleson, proposed a constitutional amendment that he said could bring an additional $300 million to public schools. It unanimously cleared both the House and Senate. Orr’s measure became Proposition 6, which voters passed in November. But that money has hit a roadblock on its way to public schools — and what looked like an easy fix for hard-pressed budget writers last May has turned into a headache that awaits their return in January. The amendment allowed the School Land Board, which operates out of the General Land Office, to put a portion of earnings from investments on real estate assets into the Available School Fund, which along with property and sales taxes helps pay for public education. Last week, the little-watched board that oversees the state’s public school lands decided not to distribute the money. Commissioner Jerry Patterson, who sits on the three-member board, said it wanted to protect the funds for upcoming investment opportunities. Usually the proceeds from the sale and management of public school lands would go into a $26 billion trust whose revenue feeds into what’s called the Available School Fund. Proposition 6 made it so the School Land Board, if it chose, could bypass that step and put money directly into the fund. Whether lawmakers should have expected the money is a matter of dispute. But the $300 million made it into the budget as part of general funds used to support school operations, contingent upon the constitutional amendment’s passage in November and the School Land Board’s approval of the transfer. During the special session last June, the Legislature added a provision to the appropriations bill that reduced general revenue funding to public education by $300 million if the amendment passed. It was to be replaced with the same amount from the Available School Fund with the board’s approval — but there was no provision to add that money back in if that didn’t happen. Patterson said he did not recall committing to a transfer of the money and that his office had been unable to find “any evidence or documents or memos or testimony” that he did. The backdrop to the conflict is a perennial tug-of-war between lawmakers and the two state boards that control the $26 billion trust known as the Permanent School Fund. Though the School Land Board manages the fund’s real estate assets, it’s the 15-member State Board of Education that decides, with some guidance from the Constitution, how much of the trust to pay out into the Available School Fund. Because it can free up money in other parts of the budget — for example, what happened with the appropriations bill in special session — lawmakers tend to want as much in the Available School Fund as they can get. The $300 million at issue — a fraction of the $34 billion allocated to public education for the current biennium — could still end up getting to schools. The School Land Board could change its decision at any of its twice-monthly meetings. Or the money could also come out of the state's general revenue — a separate pot of money with different political strings attached — as a supplemental appropriation when the Legislature reconvenes in 2013. The $300 million would join a list of expenses postponed during the last session, including another $2.3 billion in deferred payments to public schools and an estimated $3.9 billion shortfall in Medicaid funding. In the meantime, Rep. Rob Eissler, chairman of the House Public Education Committee, said the school land board’s vote was unfortunate.